Build your Foundation right! - Divassence! Using foundation can have plenty of advantages, but the key is to get it right. Let us take a look at some of the most common mistakes that occur when women pile on foundation! Kick the powder! Powder-based foundation works great once in a while, but it has too many disastrous implications for your skin. What happens, you ask? Well, it dries up your skin, and can also wind up making your face seem flaky. 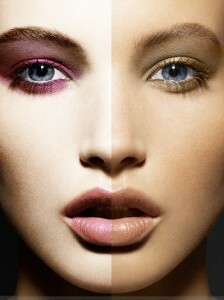 Liquid foundation, on the other hand, makes your skin glow with the necessary amount of moisture. Test it right! So you’re picking up foundation and you’re not sure if it will suit your complexion. The right colour needs to be tested – but not at your wrist, like most women do. The right places to test foundation are on the jaw line or around the nose. Some might advice testing it under the eye, but that’s at best avoidable because the skin around your eyes is much thinner. Get hold of the right brush! Applying foundation with your fingers or a sponge might be a good idea, but you might not be doing it right: covering your face well, or even using the right amount of foundation. Brushes give you the right kind of effect and take care of the coverage too! Prime it up! 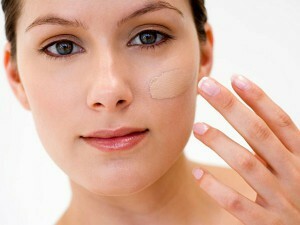 Many women often forget, neglect or don’t even know about the use of a primer. Primers make your foundation stay on better, and glide more smoothly on our skin. It also helps retain the foundation for a longer amount of time. 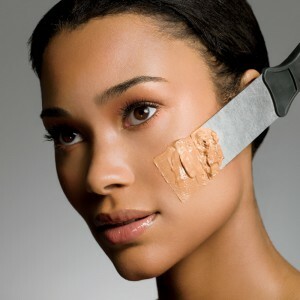 Avoid augmenting it with powder: Using a foundation is in itself a great fix for your skin. Adding powder on it might just wind up caking up your skin – and it could break out in lines. If you simply must use powder, use something that’s translucent. 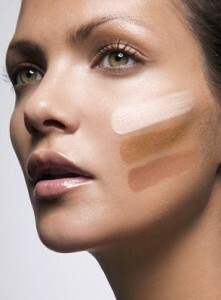 Findation.com: Pick your perfect shade of foundation, the online way!